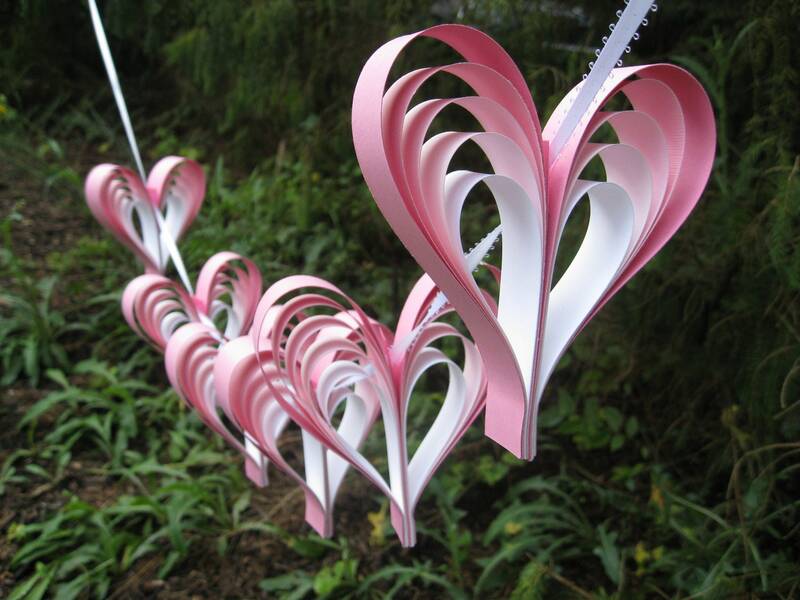 Pink Ombre Heart Garland. 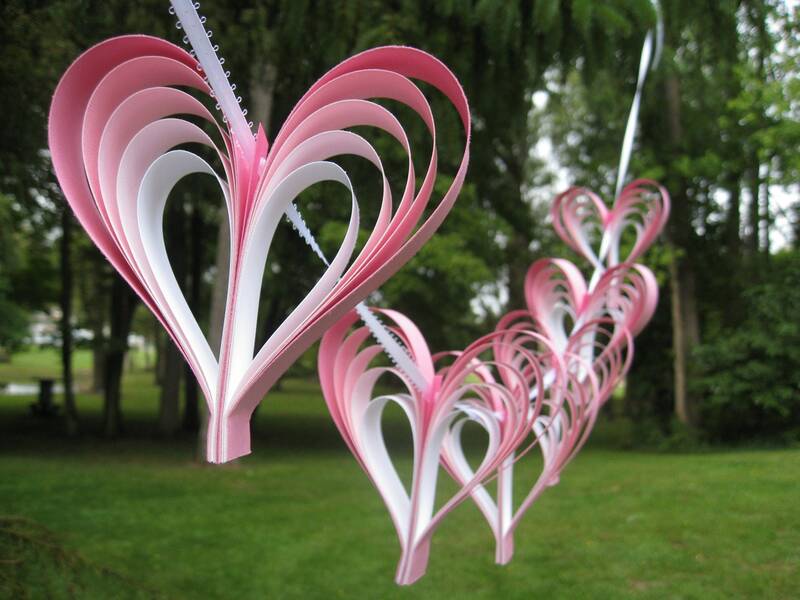 Wedding, Shower Decoration. ANY Color Available. CUSTOM Orders WELCOME. These garlands are just the thing to decorate any wedding, shower, or event. Or use them to decorate a child's bedroom. Or an office. They make great gifts too! 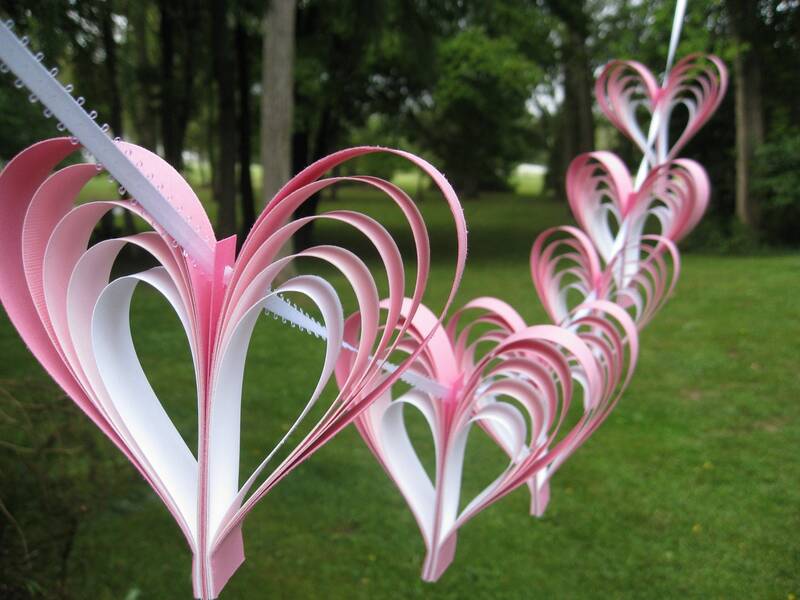 This listing is for one strings of layered hearts, fading from pink to white. There are 6 hearts on a strand. 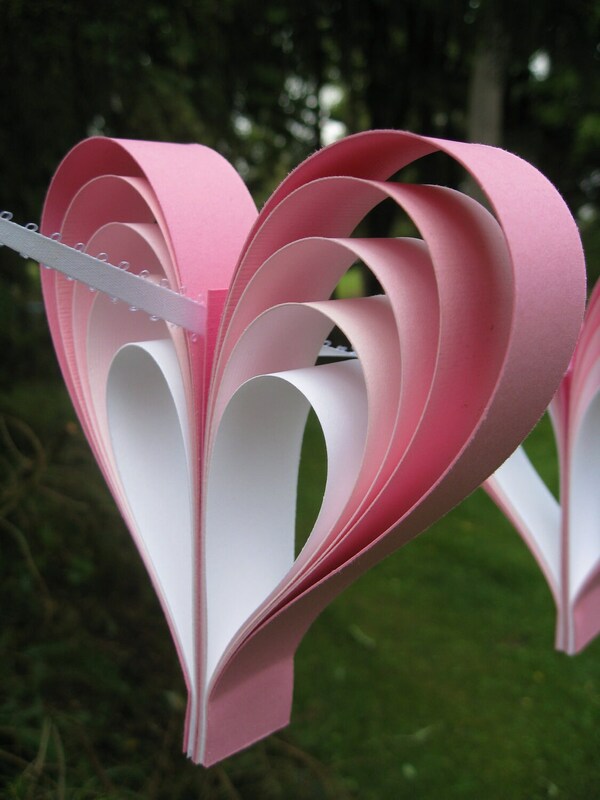 The hearts are punched with a heart-shaped hole and hung on a long white ribbon. Each heart measures about 5 x 5 inches and is 1.5" deep. 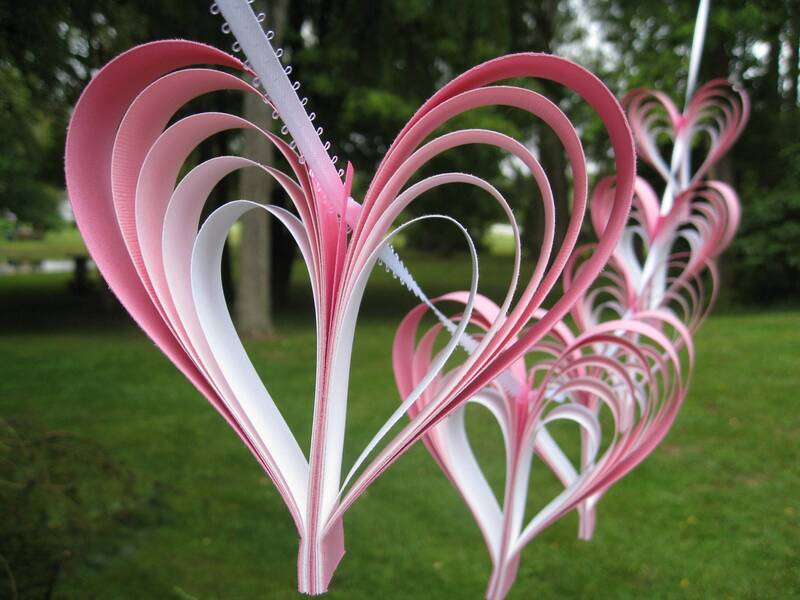 You can clump them together or space them out on the ribbon. I can also do these individually on their own ribbon. I can do them in ANY COLOR OR COLOR COMBINATION! Or amount! Just ask if you need something different.